Our PBX provider has advised there is a bug in the Vodia software, which prevents a user from using a function key assigned to an Automatic Service Flag, to manually set / clear the flag. We have this Service Flag assigned to a function key on the SNOM handsets using the buttons profile. However when they do this, instead of the service flag toggling, they get an erroneous voice message saying "Press 1 press 2 press 4". 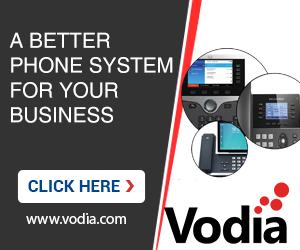 Our PBX provider has told us that this isn't their problem, and that its an issue with the Vodia software. Which version of the PBX are you on? This is simply because the audio files are missing. We are aware about it and are working on getting those files shipped with the next release. Thank you, as I have several (approx 25) client's being effected by this, are you able to advise when the next release will be available so I can set their expectations. Next version will automatically check if files are missing and attempt to download them when missing. Would also be nice if the software still completed the intended function, even if the audio files are missing. In this case the feature is broken over missing audio files which is annoying. Actually for US-en you might just re-install the US-English prompts again, they should contain the missing files. Ok, I'll advise the Service Provider Vonex in Australia to do this and will advise. Service provider Vonex have advised that having this to work is a feature request and not a bug fix. I have directed them to the only manual where it states the feature exists. "Both in automatic and manual mode, the state of the service flag can be changed from the phone (since version 5.4.2)." Can you please clarify if this is a bug or a feature request so I can inform Vonex to as they seem to be wanting to fob this off. Its a very simple feature, however its important for clients to be able to take their system out of night mode easily if they happen to arrive into work early or on a weekend. The WAV files are now available, we are in contact with Vonex am I believe they will drop them into the audio directory shortly (this does not require a restart). This should make it lot easier to use the service flags.